Have you seen what’s going on in Periscope these days? 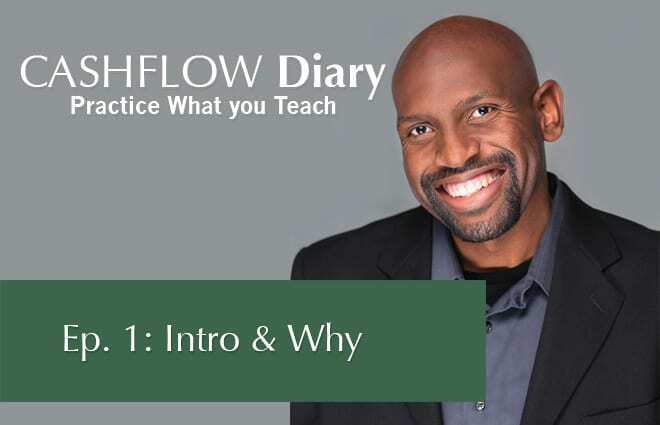 The platform is fun and interesting, so we started a Cash Flow Diary channel so we could help more people learn about real estate entrepreneurship. Check it out: www.Periscope.tv/cashflowdiary. It’s a great way for me to share bits of my real life as a real estate investor with an all-new audience. I’m sharing my story, my journey and my goals with everyone who will listen because I want them to know what they need to do right now to become a real estate entrepreneur. …like putting yourself out there on social media. Because you want to draw people to you. That’s one of my “secrets” to success. Hey, truth is that as you become good at what you do you will want to share with others what you have learned along the way. I started sharing before I had a website… before I was on social media… before I was an author and speaker… before any of it. What was it? 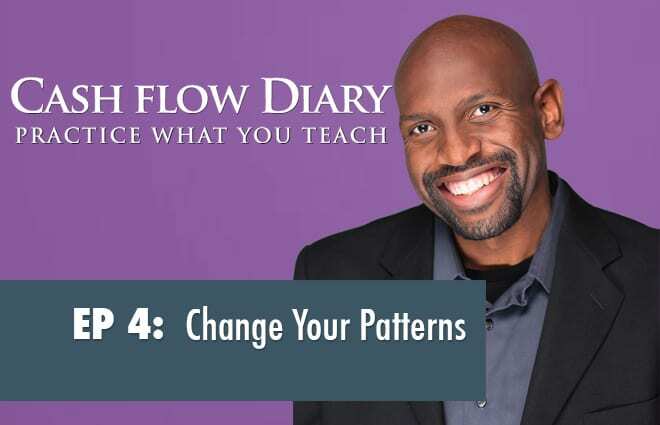 Starting the Cash Flow Diary podcast! If you’ve been following me at all, you know I didn’t do this on my own. Well, in the beginning I did, but then started doing more deals faster and then different types of deals, so a team became necessary. There are reasons to grow your team. So… now I have a few teams. So… why real estate investing? Hey, I’m a cashflow kind of guy. Nothing brings more cashflow into your life than investing in real estate. I’m not into fixing and flipping. Holding onto properties and getting them to cashflow is more my cup of tea.That’s called buying and holding, and it’s something you can do, too. You just need to have the passion and a willingness to learn how to do different deals. That was not in my life’s plan. You see, I’m a military kid who grew up overseas. Living in Germany for 11 years, I spoke German, had a different experience than my U.S. counterparts, and didn’t even watch much television. Because you need to know that your past doesn’t matter! It’s what actions you take now and the goals you set for yourself that count. Hey, if I could become a real estate investor so can you. I’m not a genius and I don’t have some secret, hidden brain power. In fact, I didn’t even graduate from college. But none of that matters. What matters is that I recognized the opportunity that was laid at my feet, even though I didn’t have one extra dime to spend on education. Maybe you’ve heard my story before. If not, jump over to the ABOUT PAGE to see a great video that tells the story well. To make a long story short, when I entered real estate it was at the same time that the economy had tanked.When people give me the argument that they“can’t do real estate investing because it’s a bad economy” their words and excuses are lost on me. You know what I call all those excuses? 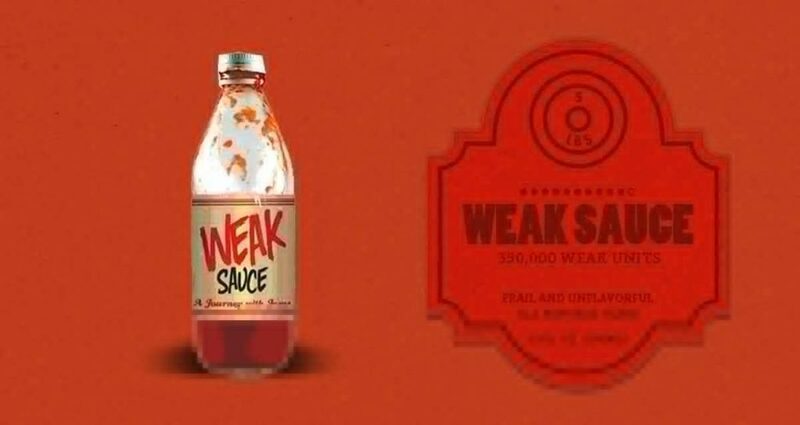 Weak Sauce. You know what a down market is to real estate entrepreneurs? It’s an opportunity. In fact,there’s so much opportunity in every market that you’d be surprised… unless you learn how to spot it. When I first started learning how to do real estate investing it wasn’t just the economy that was down. My wife was very ill and I chose to walk away from my 9-to-5 to sit by her side. To make ends meet I sold our personal possessions on eBay and then learned to wholesale items I found at a discount in bulk and then sell them at a discount. This understanding would come in handy when I started wholesaling houses. Anyway, the pressure was building. As I watched my then-pregnant wife lie in bed day after day, not being able to hold any food or even water down, the stress started getting to me. We were dead broke and my wife, well, we won’t go there. Let’s just say it was really, really bad. Frustrated and more than lost, I decided I needed to blow off some steam. So, I met some friends to play volleyball. It’s not my sport and I sort of proved it. After jumping up to spike a ball I came down hard, landing on another player and rupturing a lung.While this wouldn’t be good for anyone it was particularly bad for me because I have asthma. My already compromised lungs were working overtime just to drag in breaths of air. Next thing you know I was in bed and unable to walk and talk at the same time. Because there are no excuses that are good enough to keep you from moving forward. All my life I’d been told that the “right” path to success is to go to school, get good grades, get a job and just keep working. What a bill of goods that was! Truth is our system of education is broken; our way of teaching our kids to succeed is broken. The moment we aren’t able to physically go to work we’re sunk… unless we are entrepreneurs who don’t punch a clock and don’t answer to a boss. 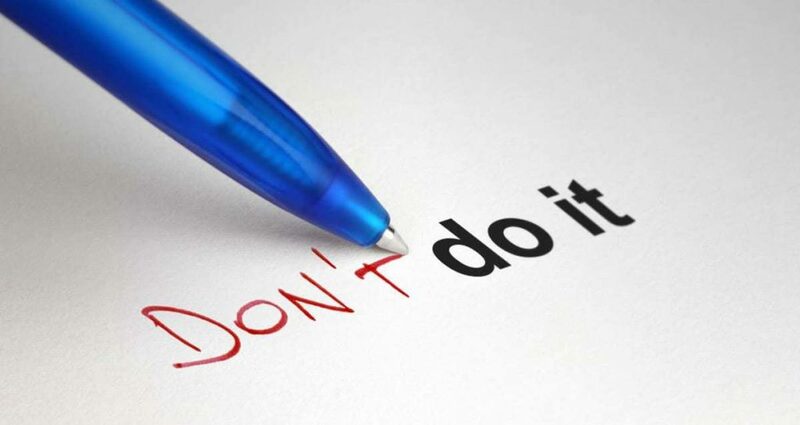 As an entrepreneur we answer to ourselves, we are responsible for our own actions, we are held accountable to our goals by telling people what they are and how we’re getting to them. 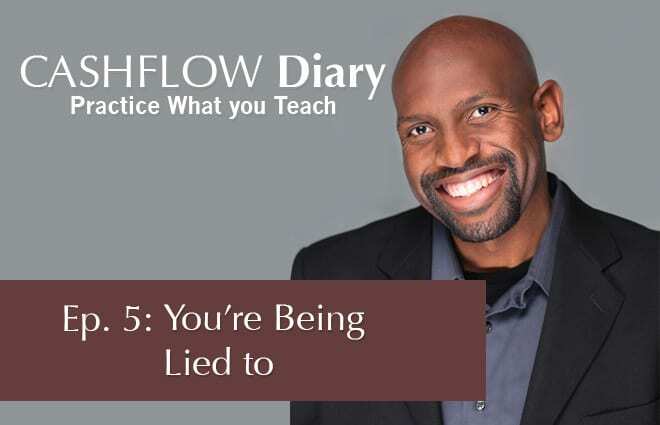 Truth is… you DO NOT need a J – O – B! What you do need is to change your way of thinking. It is the first step toward becoming an entrepreneur and most certainly the first step toward becoming a real estate entrepreneur. That first step for me came in the form of a friend who was watching my family and me go through tragedy after tragedy. He had spoken the following words to me before, but now they suddenly made an impact. After looking at him funny for about a minute I asked him to explain. I had a credit score of 398… no money… I couldn’t even scrape $75 together for a class in real estate investing… we were relying on family to feed us… our primary residence was foreclosed and we were squatting in bank-owned property… and things weren’t all bright and right with my world. But I listened as my friend explained the first skills I would need to develop. It was good to try whatever the instructors told me to do during the breaks and report what went right and what didn’t work quickly. It’s where I developed my “Learn at the Speed of Instruction” mindset. It’s far better to move quickly when learning something new. It works. One of the things I had to do early in my path as a real estate investor is to develop my personal and professional communication skills. I didn’t have people skills. To this day I remain an introvert. But I knew I could do this thing called real estate investing. Heck, lots and lots of people had come before me. They learned how to do deals and negotiate transactions. They learned how to be good salespeople. They learned how to marketing themselves and their businesses. Maybe you’re standing where I was at that time. Maybe you want to take your first steps into real estate investing, but you don’t know the first steps or what makes sense. The very first thing you need to do it to believe in yourself, which is easier said than done, right? Like everything else in life, it just takes practice to get good at something. You can’t look good and learn something new at the same time. And as you keep doing the things you learn to do you will realize that all along there’s only one thing… one person… that has been holding you back. This mindset shift we have to do to allow us to go from the 9-to-5 world of worker bees to the world of entrepreneurialism where all things are possible can take a little time. 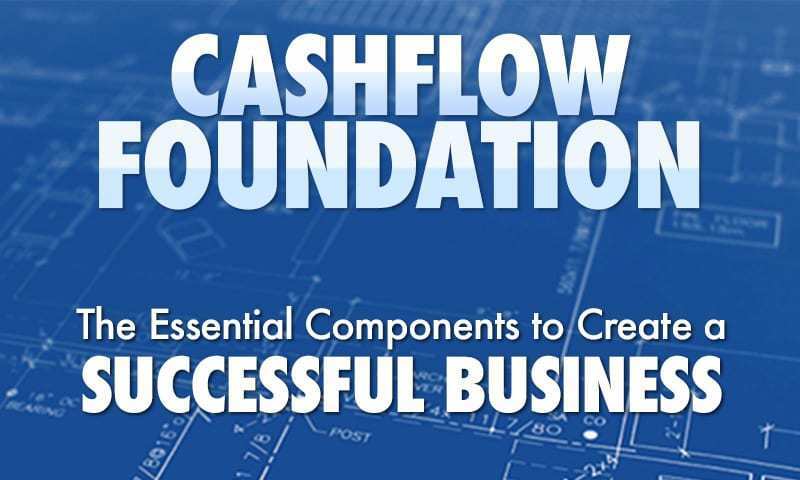 To help you in this shift, take a look at the Cashflow Foundations course. It is well-received. People who have taken it give it a big thumbs up. CFD 261 – Craig Ballantyne Tells Us We Can ALL Have Perfect Days!